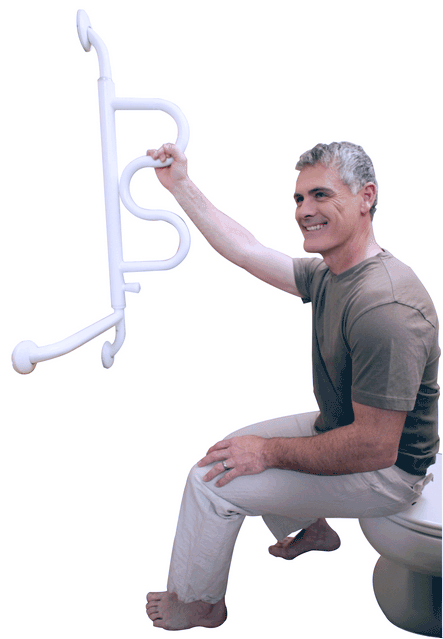 Curve Grab Bar BUY Grab Bar, Bath Grab Bar, Bathroom Grab Bar, 9000, Stander Curve Grab Bar. 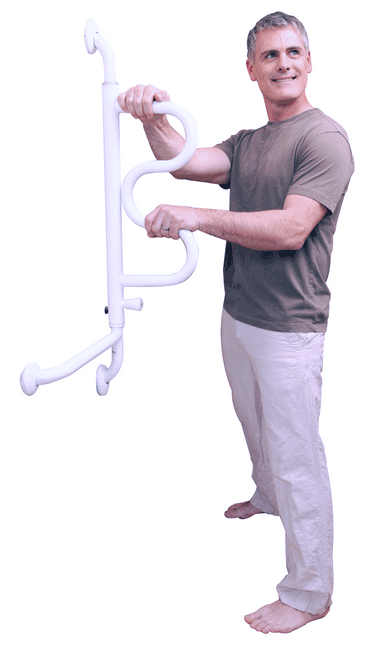 Pivoting Grab Bar with 4 Hand Grips - SHIPS FREE! 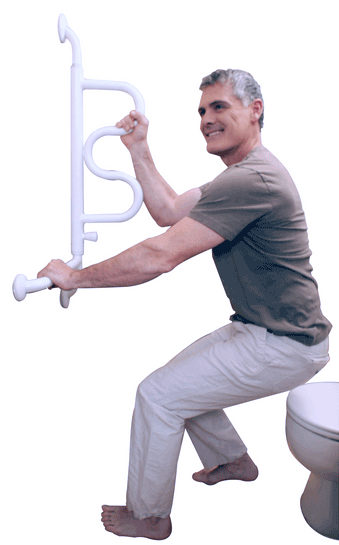 Curve Grab Bar helps individuals with a loss of mobility or loss of strength to transition from a sitting position to a standing position. 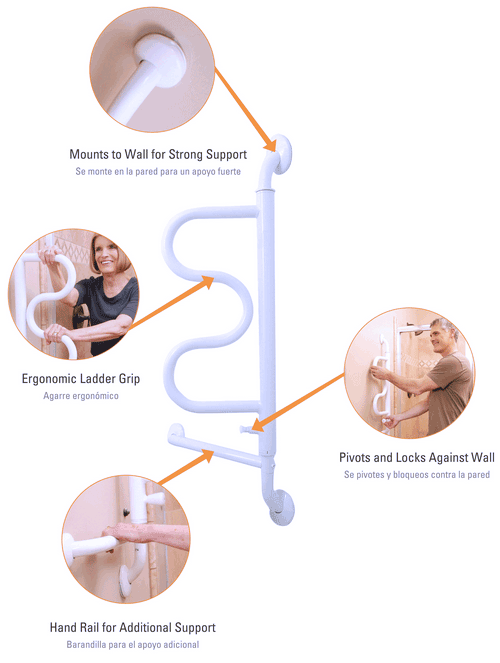 Designed for bathroom use, the Curved Grab Bar has 4-hand grips that offer a ladder-style grip as the person rises from a sitting position. 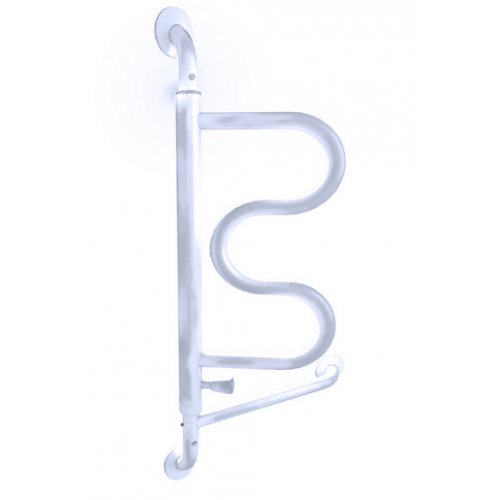 This Bath Grab Bar is space saving by pivoting out of the way when not in use. 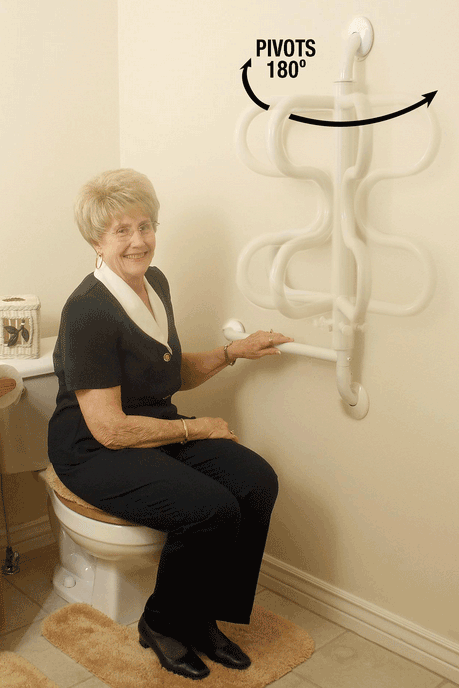 Manufactured by Stander, the Curve Grab Bar pivots 180 degrees from wall to wall. 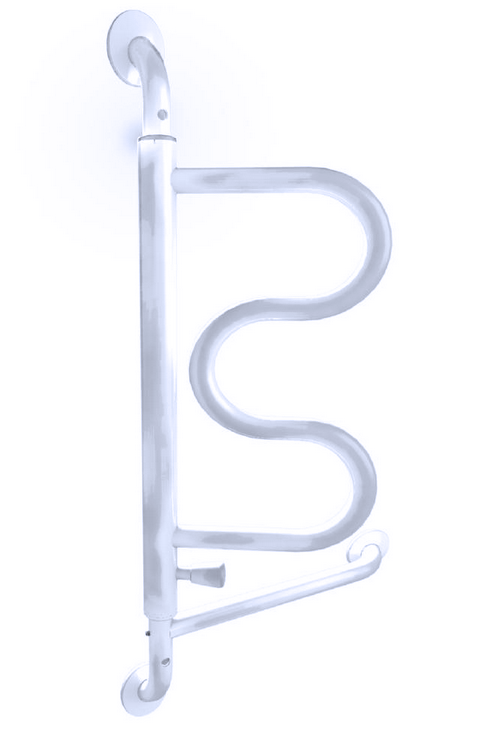 There are five locking positions for this Bathroom Grab Bar, allowing adjustment to individual needs. Ladder like shape provides four gripping heights. 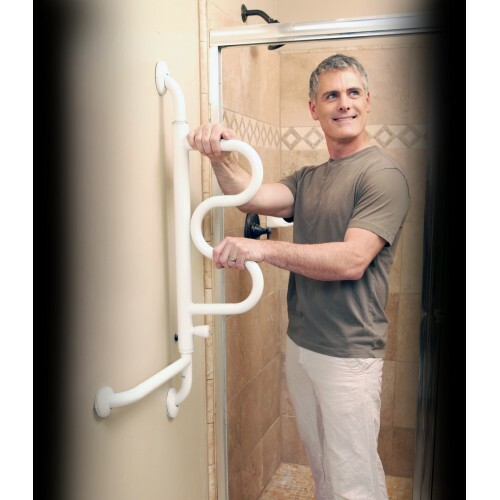 Horizontal grab bar that offers stability while transitioning to a standing position. Space saving design pivots and secures at 0, 90, and 180 degrees. Installs quickly into a single wall stud. 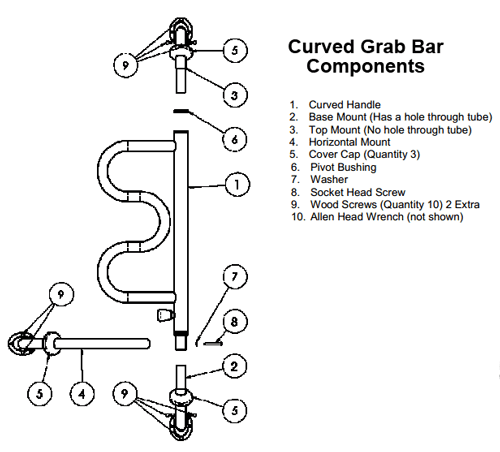 Curved Grab Bar Product Number: 9000. Length (horizontal base bar): 14"
Distance between top and bottom handle: 20"
Distance between each of the 4 handles: 5"
Stander Curve Grab Bar Warranty: Lifetime.